Debut single "Invincible Rainbow Arrow" now available. 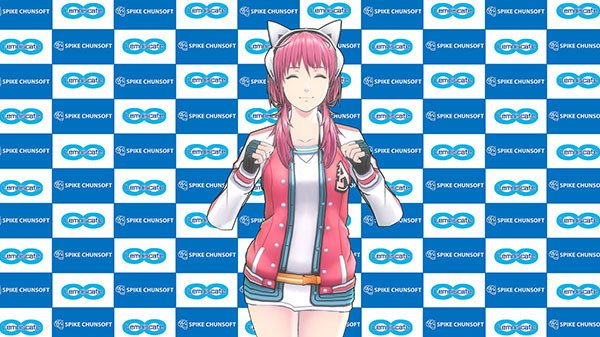 Spike Chunsoft has debuted internet idol A-set, also known as Tesa, created in collaboration with Zero Escape series director Kotaro Uchikoshi with outfit designs by character designer Yusuke Kozaki. Her debut single and music video, “Invincible Rainbow Arrow,” is available now at the bottom of this post following Uchikoshi’s A-set introduction video. Follow her on YouTube here (Japanese and Chinese channel here and Twitter here (Japanese account here. A-set, also known as Tesa, is an internet idol under the entertainment office Lemniscate. She is a cheerful 18-year-old girl from Tokyo, Japan who loves video games. She can sing, dance, and does Let’s Play videos in her spare time. She’s on a mission to win a Grammy and be Spike Chunsoft’s cutest internet idol ever! A director and scenario writer, his skills shine in his adventure titles, such as the Zero Escape series (including the award-winning Nine Hours, Nine Persons, Nine Doors), Punch Line, and Ever17: The Out of Infinity. He is well-known for his unconventional plot twists and offbeat humor and has been actively working on many genres, many games, and many stories. His next upcoming project is AI: The Somnium Files, which was announced at Spike Chunsoft’s Anime Expo 2018 panel. Watch the A-set introduction video and debut single below.